Need a quick, easy recipe for breakfast foods you can grab and go? Once again, I will expose how I am a faux baker. These Betty Crocker Muffin pouches are the easiest things in the world to make. As you can see, on the package it says “Just Add Water” and they are serious. That’s it. 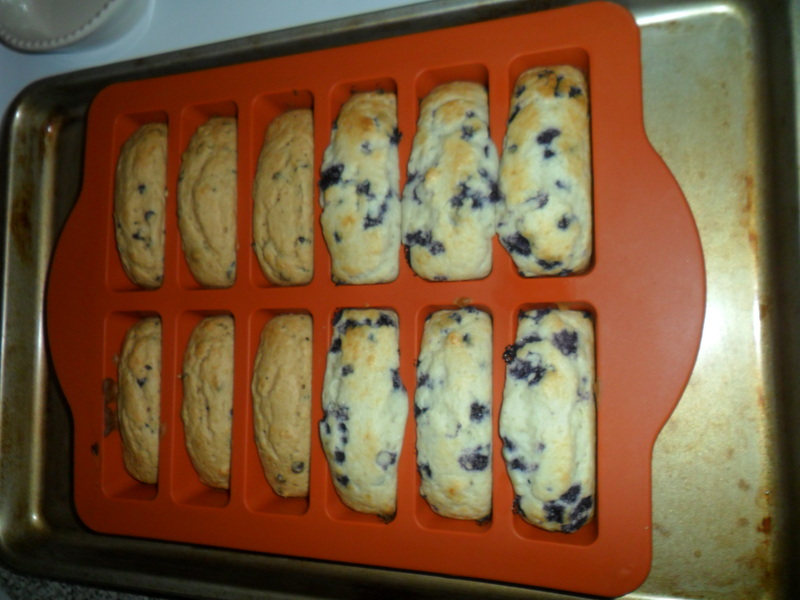 One pouch makes six muffins, so you need two pouches if you want to make a dozen. Add 1 cup of water to the contents of two pouches and stir. You are ready to pour and bake. 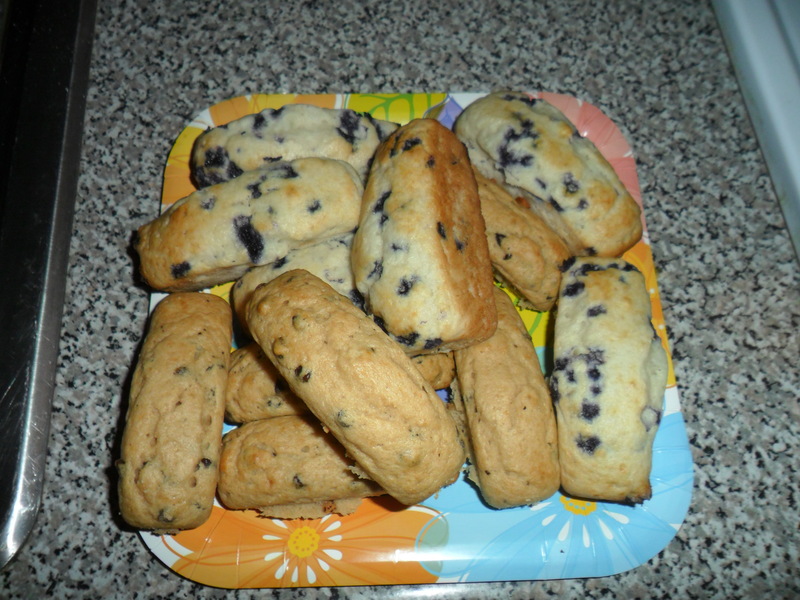 They come in blueberry, cornbread, triple berry, chocolate chip, banana nut, and lemon-poppy seed. 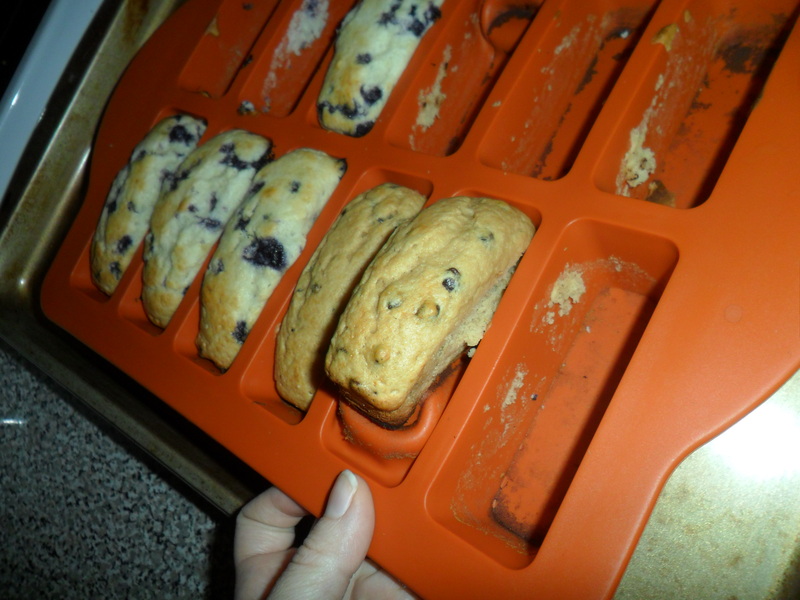 As an alternative to regular muffin / cupcake shapes, I like to use this Mini-Loaf Pan. (Thank you to my sister who introduced me to this pan!) You still must put the pan on a cookie sheet when baking. After 16 quick minutes, voila’! I had one pouch of chocolate chip (top of picture) and one pouch of blueberry. 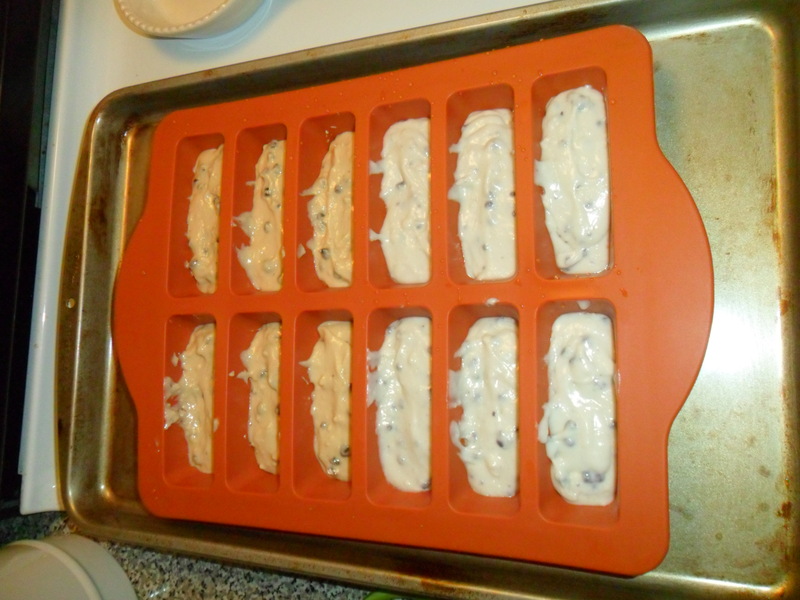 Now you have a dozen cute mini-loaves that are as easy to grab in the morning as they were to bake. I usually make two dozen at a time. Then there is enough for my husband and I for a week, plus I give a dozen to my father. (Acting like I spent hours in the kitchen over a hot oven, optional.) Trying to count calories? One of these mini-loaves (in any flavor – even chocolate chip!) are just 3 Weight Watchers Plus points. Not a breakfast person? I like to make the cornbread mini-loaves when serving chili or spicy wings. Are your mornings hectic? Do you have a simple recipe for breakfast? I’m always looking for different things to serve before work that won’t require extra time or cooking! Comment and let me know. I hope you try these – tell me if you do. Perks to being your babysitter besides the fact that I get to spend time with the most adorable, fun, and well-behaved baby? I always get to try these desserts you post on this blog! They are d e l i c i o u s. To those of you reading this: definitely try baking these muffins- and especially that spice cake!!!!!! There are treats here for you (muffins, spice cake – and Easter candy – I counted you in our family) – enjoy today!